It has been reported that patients with schizophrenia show restricted eye-scanning in comparison with normal controls; however, the precise mechanism underlying the limited eye movement pattern remains unknown. The purpose of this study was to determine the factors affecting restricted eye-scanning in schizophrenic patients by examining exploratory eye movements during demonstration of two different sizes of the S-shaped figure. 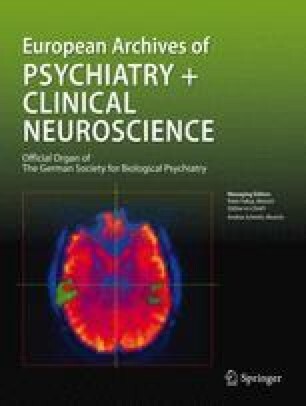 The second purpose was to determine the effect of the instruction for performance on the restricted viewing pattern in patients with schizophrenia. Eye movements during demonstration of the S-shaped figure of the original or half size were examined in 15 patients with schizophrenia and 15 normal controls using an infrared eye-mark recorder. The patients showed lower search scores than control subjects for both sizes of the figure. The subjects were then instructed to compare a slightly modified figure with the original one. Lower responsive search scores were found for the patients when “fixation point” was defined as a point at which a gaze was held for at least 200 ms, while the patients and control subjects performed equally at the 100-ms setting. Direct instruction to scrutinize the S-shape abolished the difference in the search scores between patients and control subjects at both the 100-ms and 200-ms settings. These findings suggest that the size of the S-figure is not a factor of restricted eye movements, and that the direct instruction improves the visual performance in patients with schizophrenia. Correspondence to Mié Matsui, Ph. D.